It’s always a pleasure to unpack a delicious, healthy lunch on a Monday. Today’s was leftovers from a dinner I cooked on Saturday – I enjoyed it and thought I’d share the recipe. Prepare the tofu: If you have time, remove the tofu from the package and press between two plates lined with paper towels. This is not absolutely necessary but will help dry it out. Cook the quinoa: bring 2 cups of water to a boil. Rinse the quinoa thoroughly in a strainer, then add to the boiling water along with the 1/2 tsp salt. Bring to a simmer, cover, and simmer for 15 minutes or until the quinoa grains have unfurled. (Not all the water may be absorbed). While the quinoa is cooking, prepare the greens: heat 1 tbsp oil in a large pan/skillet and sautee the shallot over medium heat until softened, but not browned. Add the greens and continue to sautee, turning the heat down to avoid burning the greens. 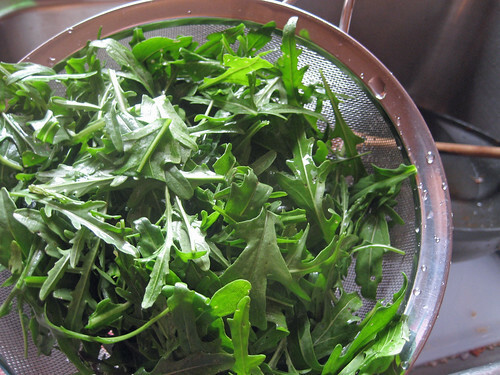 Assemble the quinoa: drain the cooked quinoa using a fine strainer and add to the greens. Taste and season as needed. Fry the tofu: Cut the tofu into triangles. On a plate or in a shallow bowl, combine the flour and seasoned salt. In a skillet, heat 3 tbsp of oil until shimmering. Dip each piece of tofu in the flour mixture and fry, not crowding the pan too much. Flip once when lightly browned (should take 3-5 minutes per side). Remove to a plate (you can keep warm in a toaster oven if necessary). 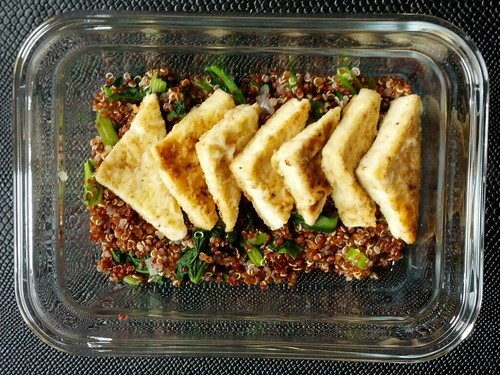 Serve the tofu triangles on top of the quinoa. 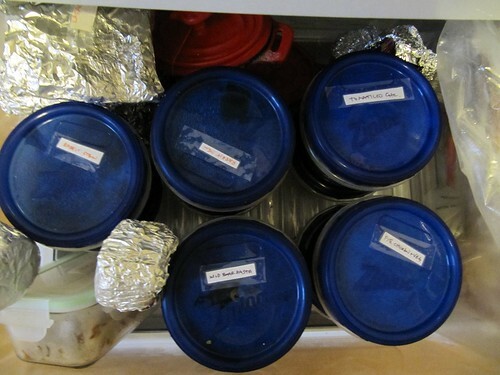 An older photo – but this is how my lunches are usually stored – I love the Ziploc twist & lock containers and have yet to have one leak. Ten pounds of organic oats? When I picked up my order from the Urban Greens Buying Club, the bag was bigger than I thought. 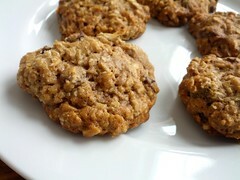 But to my surprise, I went through all ten pounds in a couple of months, and oats eclipsed flour on my list of pantry staples. Here are some of the recipes that had me loving oats this winter. What about you? 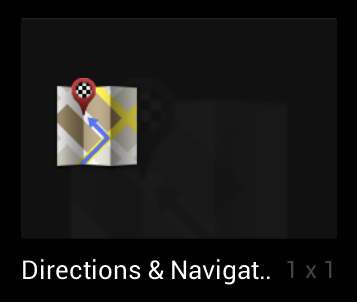 As a frequent bus rider, I don’t know how I ever lived without the transit directions in Google Maps. I’ve discovered an even easier way to access bus schedules from my Android phone. I simply created shortcuts to transit directions for my favorite destinations (like work, home). 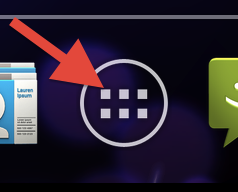 This means that if I’m running late at work and miss my usual bus, I can just click the shortcut to see the next 3 buses. It doesn’t matter where I am, clicking the shortcut gets me home! 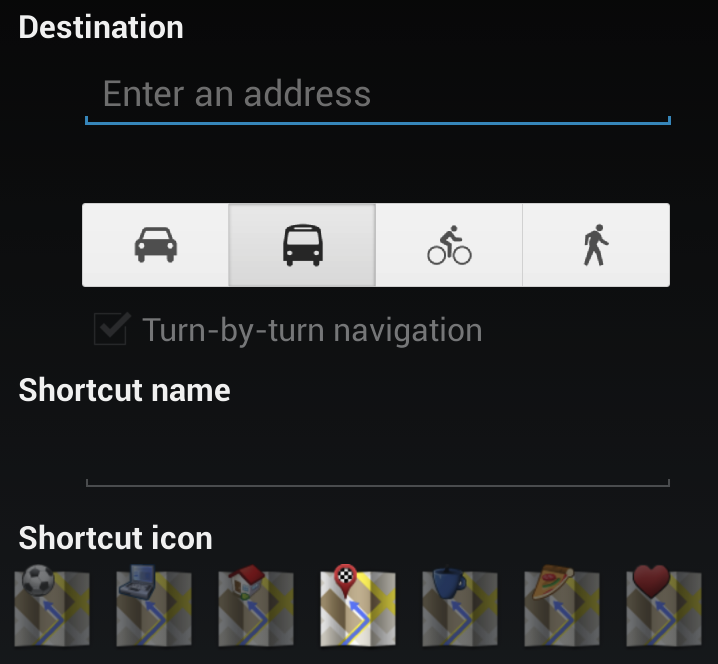 Flip through your widgets until you find the one called Directions & Navigation. Press and hold to drop it onto your home screen. Add your home or work address (or anywhere else you like to go a lot). Don’t forget to choose transit (click on the bus image). I’ve baked quite a few cookies this winter as usual, but my go-to potluck recipe has been cookie dough dip. 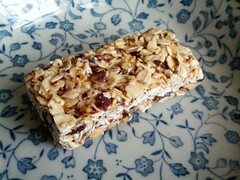 I saw the recipe posted somewhere and dismissed it as a healthy concoction that probably wouldn’t taste good. A couple of weeks later, I was still thinking “can that really be good?” and decided to give it a try. I grew up in the NYC area but hadn’t been back lately, so I was excited to take my in-laws on their first trip to the city the day after Thanksgiving. Staying in the city with four people would have been pricey, so we decided to try the Hilton in Stamford, CT, which we snagged for only $90/night. It’s not too long a drive from Providence and it’s in walking distance from the train station, where you can catch a 50 minute express train to Grand Central Station. 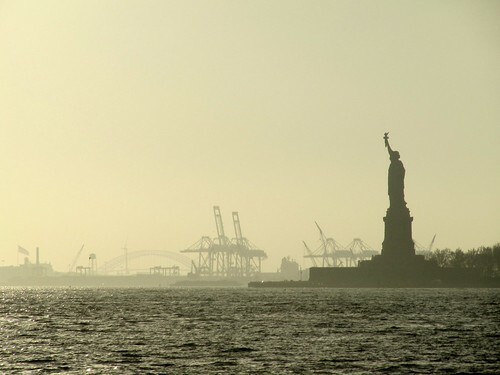 We walked over 10 miles a day, all over Manhattan – the best way to sightsee. Here are some of the places we went. It sounds like a lot of food for 2 days, but when it’s cold and you’re burning a thousand calories walking, you’d better stop for a snack or two. Pizza at John’s of Bleeker St.
Maybe this is blasphemy, but I think turkey is turkey and the sides are the exciting part – especially when your guests are not stodgy and you can play with flavors. For cranberry sauce, I like to make a traditional cooked version as well as a fresh version with orange. 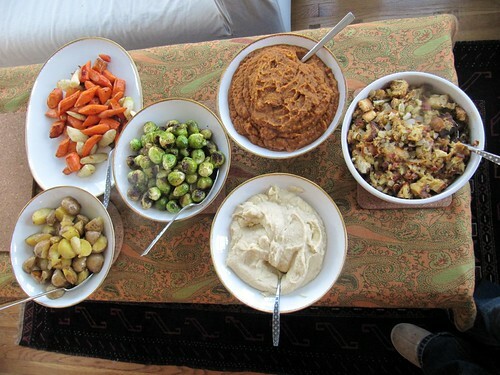 What are your favorite Thanksgiving sides? I love smelling good things. Especially coffee. This has been a long-time hobby for me – when I was a kid tagging along with my mom at the supermarket, I’d collect beans that had fallen onto the tray underneath the bulk coffee bins, bring them home, label them based on variety, and add them to my coffee collection. I’d delight in going through my collection and sniffing each bean to experience the world of Pumpkin or French Vanilla or Dark Roast. It was fun until I got a coffee bean stuck up my nose. Given my coffee-sniffing childhood habit, it’s only predictable that I’d end up at a New Harvest cupping. A coffee cupping is basically a coffee tasting, but unless you’re a coffee professional, it’s probably different than your usual coffee experience. 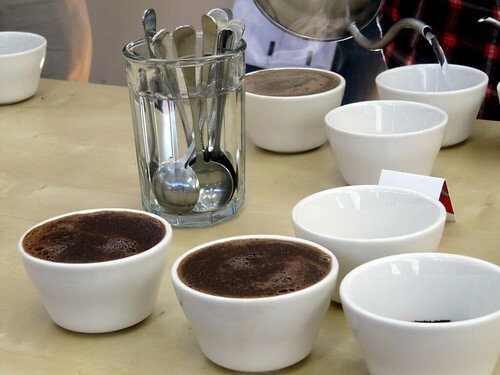 A cupping is a very precise ritual: First, the grounds are weighed and placed in small bowls. We smelled the grounds dry for an initial impression. Then, water is heated to the perfect temperature and poured over the grounds using a pourover kettle, after which we waited for a specific amount of time. Once the coffee had steeped, we were told to drag a spoon through the crust of grounds on the surface while inhaling the aroma. Breaking the crust releases all the fragrant aroma compounds. After we all put our noses to the grind (sorry), we skimmed the grounds off the top and started tasting. The best way to taste is to slurp the coffee out of a spoon, similar to wine tasting. Slurping aerates the coffee, releasing more flavor. I loved this experience because I learned more about my own coffee preferences and also got some insight into how New Harvest purchases and roasts the beans. Best of all, I managed to keep the coffee beans out of my nose. If you’d like to experience a coffee cupping, New Harvest has one almost every Friday at 3pm. For more details, see their public classes page. Like the rest of the northeast, I’m in a pumpkin thrall when fall finally rolls around. Pumpkin lattes are too sweet for me and I’m not a daily pastry eater, so my favorite way to get my pumpkin fix is this oatmeal. If you’ve never made oatmeal in a large batch, try it! This morning I was wondering how instant oatmeal even exists when one can invest just 5 minutes of prep to make delicious, healthy oats for the whole week. This recipe makes 4 large servings or 5-7 small servings (perfect for the work week). Vary the salt, sugar, and spices to your taste. I love spices so I am heavy handed. Add the oats and raisins and simmer for 5 minutes or until most of the water is absorbed by the oats. Stir in the pumpkin puree, sugar, and spices and cook, stirring once or twice, or 5 more minutes or until the consistency is to your liking. To reheat, if refrigerating: Place one serving in a bowl and break it up with a spoon. Stir in a few tablespoons of half and half, milk, or water. Microwave for 1.5 minutes, pausing once to stir. It’s the second day of fall and I have a lot to do but instead I have decided to harvest the arugula which I let grow weedy between the bricks in the backyard. I sit in the bright noon sun, plucking leaf after leaf into a large bowl. The arugula is leggy and the honeybees still cling to the yellow flowers even after the stalks are cut and in my hand. The leaves are going to become arugula pesto, made with walnuts and my pungent parmesan smuggled from Europe. Our black cherry tomato plant has gone wild, sending branches like tentacles all over the garden. I keep finding bunches of green tomatoes under tables and in other plants. It’s too late, they will never ripen quite like their summer brothers, so I’m pickling them green. Sometime this winter I’ll have a dirty martini or a bloody mary with a pickled tomato garnish and remember the summer.